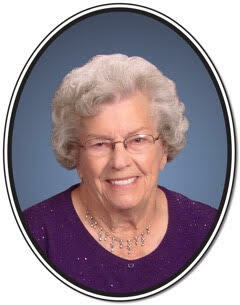 Evelena Van De Wege (Vonk) was born in Otley Iowa on June 21, 1923 to Case Vonk and Nellie Van Holland. Her mother died shortly after her birth. She was the youngest of 17 children. On the farm, Evelena gathered eggs, loved riding horses and attended school until the 8th grade. She moved to Denver when she was 14 years old for treatment of her severe asthma and lived at Bethesda TB Sanatorium. She later worked at Samsonite Luggage on Broadway, and lived in several different households near the old First Reformed Church, now Platt Park Church. After the war, she married Anthony Van De Wege. They had three children, Elaine, Karen and Dean. Evelena was a homemaker and enjoyed spending time with her eight grandchildren and their families. She was preceded in death by her parents and 15 siblings and their spouses. 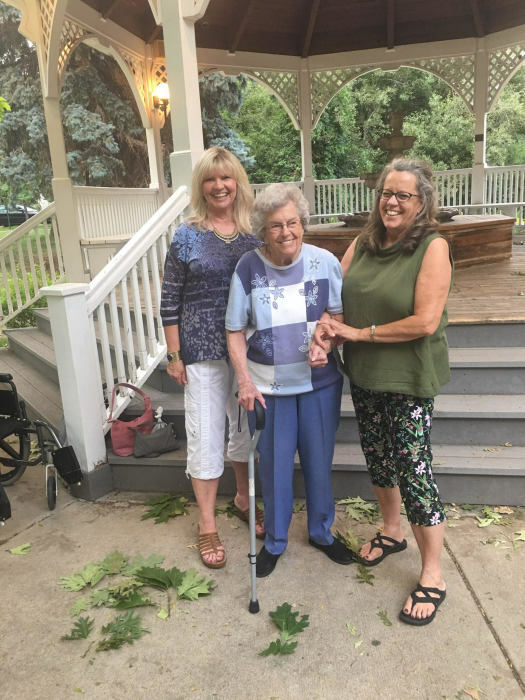 She has 1 remaining sister who is 102 years old and lives in Iowa. Evelena and her sister were able to spend time together over memorial weekend in May this year.